Over the past few years, India has shown an exponential growth curve in the digital marketing sector. Not only are there new companies and websites coming out every other day, many brands have expanded their horizons and grown to enterprise businesses. However, handling a big and established brand might definitely be a difficult task. But Shopify brings you an answer. Read further to find out more about it. Shopify is a computer software platform that supports both startup and enterprise e-commerce businesses to establish their presence in the online market. It is a Canadian company founded in 2004, helping businesses in India for many years now. Shopify has several programmes that cater to the different needs of all types of businesses between a startup and an enterprise. One such program is the Shopify Gold. This is available exclusively for India and is suitable for all the businesses that have managed to establish themselves in the market. About 3 years ago, Shopify released a new programme called the Shopify Plus, which was designed to act as the frame that supports and withstands the weight of an enterprise business. In July 2017, Shopify introduced a similar plan in India in the name of Shopify Gold. This is an extension that is designed especially for fast growing businesses in India. Through Shopify Gold, both established or enterprise e-commerce companies set up an online platform for their business. As this platform is designed especially for Indian businesses, it understands the needs of Indian businesses and customers. When Does Your Business Need an Enterprise Solution? Most people don’t realise when they really need to upgrade into a better e-commerce solution. If your online platform is facing one or more of these issues, then you definitely need to consider moving onto a bigger platform to help your business grow. Your platform has a crashing problem during high volumes: Discounts during sale seasons help you popularise your brand and business. But the constant crashing of your website can be a turn-down to your customers. You want to expand your business internationally as well: Some countries like Nepal, Bangladesh, Pakistan, etc have people with similar tastes to those in India and expanding your business to these countries can help you grow immensely. But your current platform has limitations in language, currency, and taxes. You need developers to make the simplest of changes: Smaller platforms don’t give you the freedom of customising your website however you want. And even if you need to make changes, you will need to hire a professional for it. You want specific features for a select few products: Sometimes, you might want to give free shipping to your customers on a specific product as an offer. Most small platforms don’t have the means to make this possible. As Shopify Gold is an enterprise e-commerce solution, it helps you with all the issues you face above. With a larger bandwidth, it helps you manage your inventory when you have thousands of products instead of a couple hundreds. 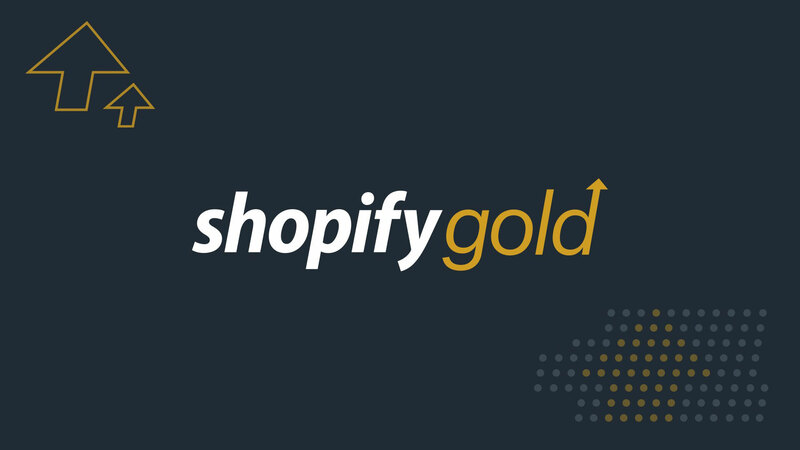 The cloud service for Shopify Gold remains the same, no matter how much you expand or how many products you have on your platform. Shopify Gold has several plans that let you get premium benefits even if you are on a tight budget. Are Enterprise Mobile Apps Changing the Business Scenario?